The refreshing crunch of cucumber and a dollop of cooling yoghurt are the ideal foils for the rich, smoky fish. Flake the mackerel fillets into the bowl of a food processor. Add the yoghurt, horseradish and lemon juice and season with salt and freshly ground black pepper. Pulse gently to a rough paste. Butter the bread, remove the crusts and cut into neat squares. Arrange a single layer of sliced cucumber onto half of the buttered bread. 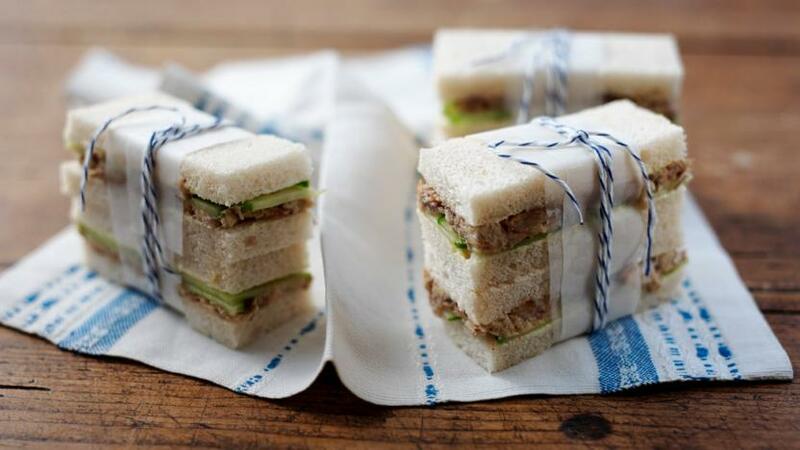 Spread the mackerel pâté on top and sandwich with the remaining bread. To serve, cut the sandwiches into triangles.